1.299,00 EUR 19 % VAT incl. 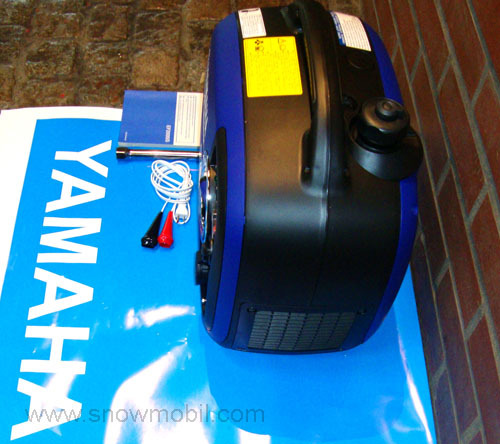 A reliable Yamaha generator with a proven technology and a very good price-performance ratio. Original Yamaha Model - no China copy! 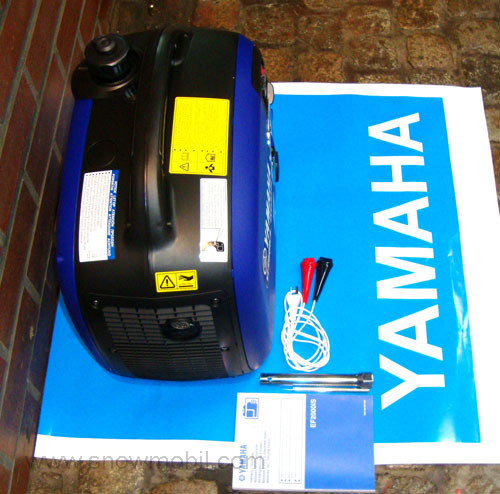 The generator is a tested brand new unit and will be delivered in the original packaging with manual. 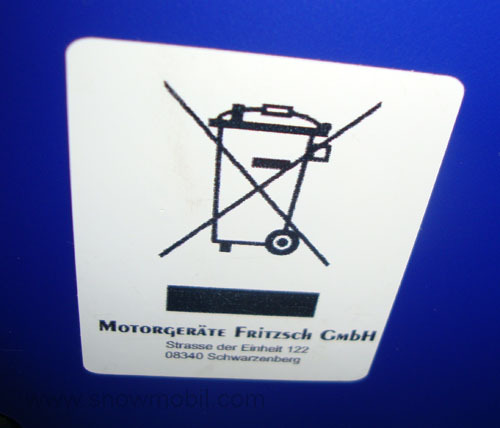 The unit has been produced for the German or EU market. 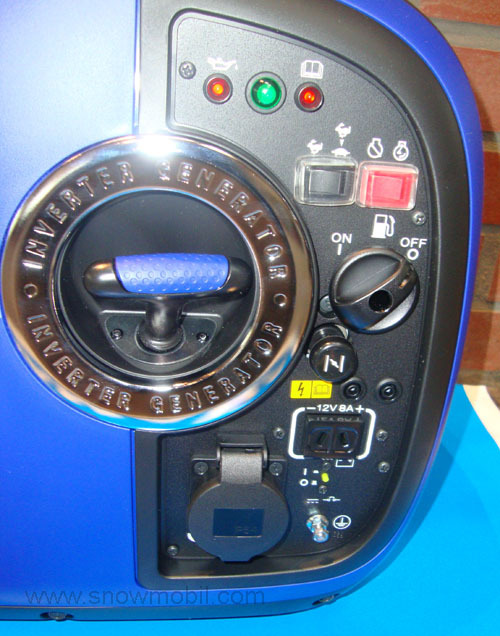 The generator has 2 switchable levels. Level 1 is the Full-load level - Level 2 is the ecological level, the RPM of the generator is regulated depending on power output. Delivery includes 1 bottle of engine oil. 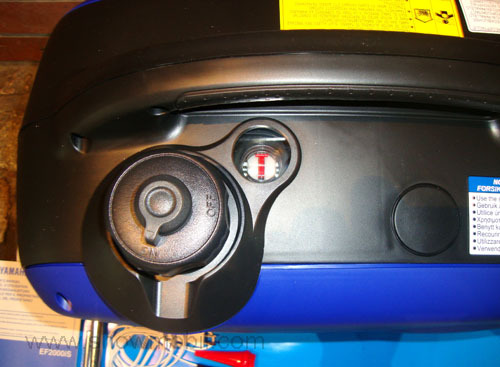 Standard is a low oil shut off in case of absence of oil in the engine - as protection against engine damage. Any type of electronic equipment will be run with the inverter, because it provides a perfect frequency and voltage stability. A absolutely fluctuation free sine wave with constant AC current 50 Hz is produced. Thus electronic devices such as computers, laptops, televisions and heating control can be operated without interference. 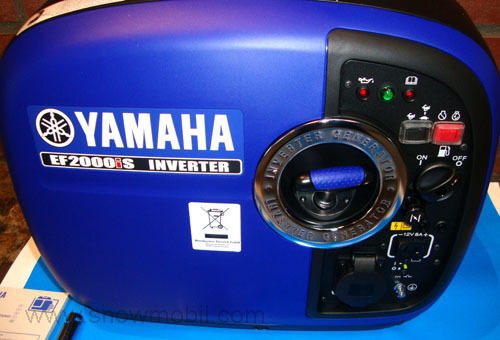 The generator produces a constant current output, both in low and high rotational speed range, always. 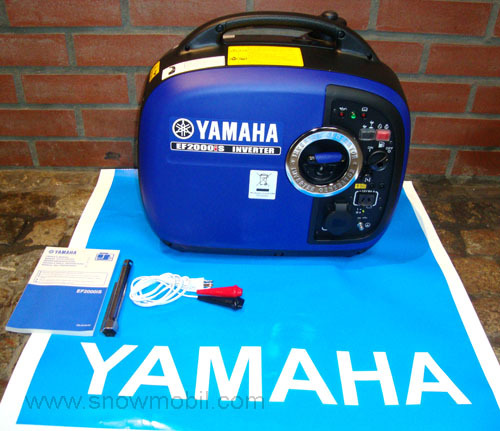 If there is not much power needed, the generator operates at a lower operating speed. For higher power requirements, the speed of the motor increases automatically. If too much current is drawn, and so the generator is overloaded the red light - lights up at the overload display. The current output is interrupted by an electronic switch immediately. Thus, the generator is protected in every way. If the oil level in the engine falls to a minimum level, the low oil shutdown switches off the ignition coil immediately. Thus prevent damage to the engine. Only after refilling the oil, the engine will start again. You get a VAT invoice. max. engine power 2,4 kW/3,3 PS at 4500 rpm. We are registered for professional disposal with WEEE Reg. DE26942012. 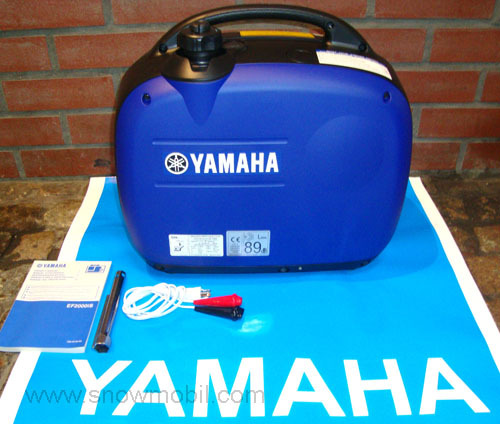 This generator is very solid, powerful and of good quality. What good is the best electric pump at flood when the power is turned off.